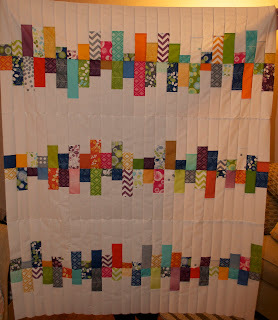 After I completed the Simply Woven, I had a lot of random sized pieces left over from my jelly roll fabric that I turned into this modern toddler quilt/play mat. I love this Simply Color line from V & Co. and how bright and cute it is against this Kona White! 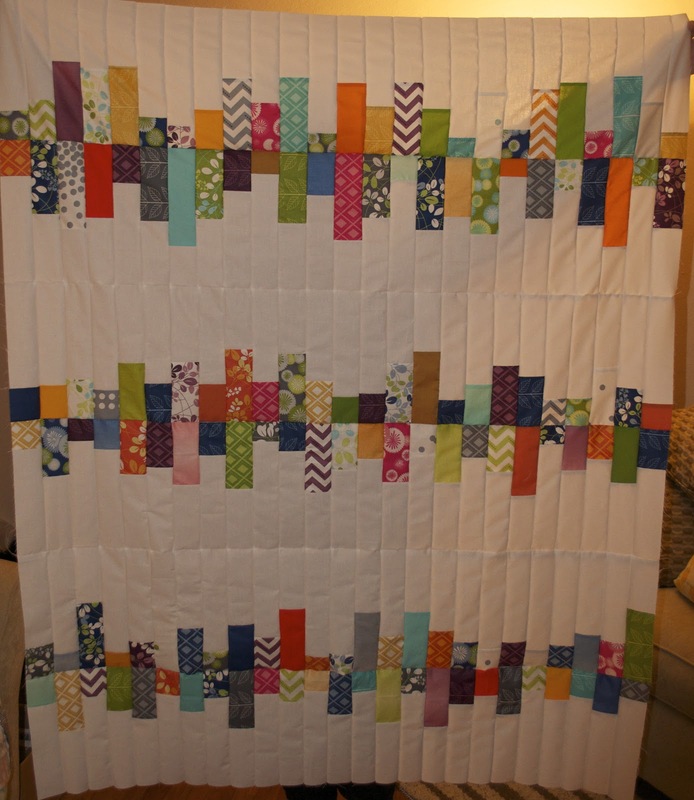 It's such a fun little quilt and will be listed in the shop as soon as it comes back from the quilters. It reminds me of piano keys and with all it's various colors I'm calling it Chromatic!